The professional union marks the first educational partnership for UBS. The Swiss Education Group is very proud to announce that UBS has signed on as an official partner. Focused on career development, academic advancement and event collaboration, the partnership will offer exciting and exclusive opportunities to SEG students. Career Development: UBS will look to recruit from the Swiss Education Group’s schools for developing their talents in the bank industry through different training programmes. 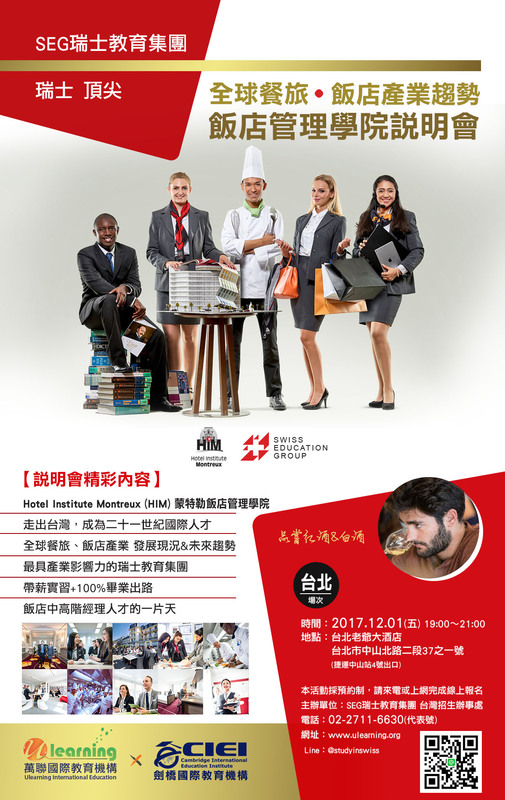 Hospitality students are especially attractive to top banks because they have extensive finance training and are service and client oriented. The well-rounded education SEG students receive offer an excellent platform to launch their careers and train up the ranks. UBS will host a booth at the upcoming International Recruitment Forum (spring 2016) to begin the recruitment process. Academic Advancement: Working together with César Ritz Colleges Switzerland, UBS will support the development of the graduate programme curriculum offering real-world case studies on finance. Additionally, UBS will participate in upcoming graduation ceremonies. Event Partner: UBS will partner with Swiss Education Group’s International Recruitment Forum and charity event Freddie for a Day. Their involvement will help contribute to the impact of these two successful events. With shared values rooted in Swiss traditions matched with dynamic approaches to change, the UBS and the Swiss Education Group partnership will undoubtedly offer exceptional educational opportunities for our future leaders.